W!LD RICE’s Brand-New Holiday Musical, A $INGAPORE CAROL! 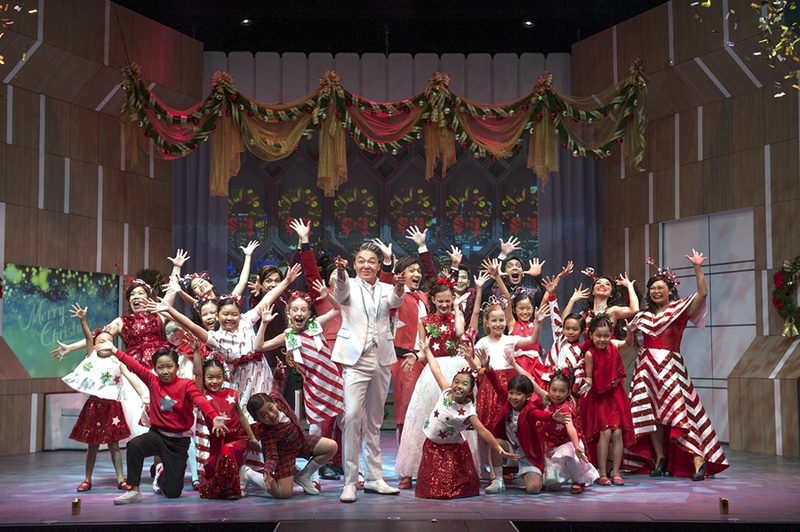 You are at:Home»ENTERTAINMENT»W!LD RICE’s Brand-New Holiday Musical, A $INGAPORE CAROL! No, it is not a typo error. The word is actually “$”ingapore and not Singapore in this musical title. Just by seeing the “$” sign in the title, we can guess the musical must have been about money and wealth. 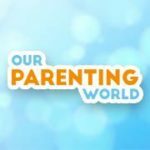 Our Parenting World – OPW Media team has always been a big fan of Wild Rice’s productions. We had watched their previous musicals like Mama White Snake, La Cage aux Folles, Monkey Goes West etc. so this time we are looking forward to catch this highly anticipated end of the year, Christmas production. After sitting in the beautiful Victoria Theatre for 2 plus hours watching the heart-warming, up tempo musical, we believed those who have bought tickets to watch this musical will not be disappointed as this production is as good as their previous ones. Based on the classic Charles Dicken’s tale of A Christmas Carol which most people are familiar with, this Wild Rice’s production added a Singapore twist to it and at the same time updated the story to our current world of social media, mobile phones and digital apps. The main cast of the story is about Mr S.K. Loo, played by none other than the very popular and talented “Broadway Beng”, Sebastian Tan who is one of the richest businessman in Singapore. His wealth comes from an All-in-One app created by his company and used by many but he led a pitiful, lonely life and does not want to celebrate Christmas. Mr Loo stays in a huge penthouse overlooking the beautiful Singapore’s skyline (kudos to the production team who replicated the image of Singapore skyline on his window) and his only companion at home is Alexa, a virtual assistant who controlled the lighting, music of his home and talks to him. 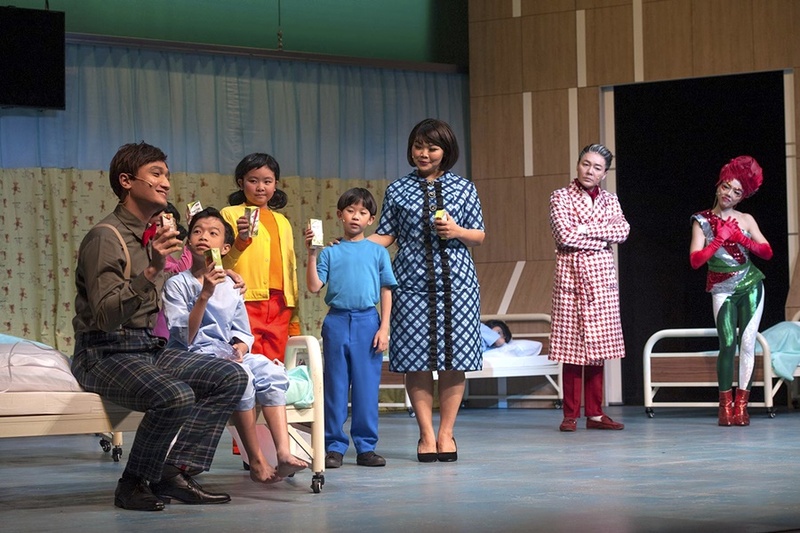 This Christmas, Mr Loo is visited by the ghost of his former business partner, Ali, acted by the ever versatile, Dwayne Lau who played various roles brilliantly in this musical as an Indian security guard, a Chinese Father and a Filipino male nurse. Ali warns Mr Loo not to make the same mistake as what Ali made before he died and now living in regret in hell. Ali tells Mr Loo he will be visited by three Christmas spirits, of the past, present and future that night to enlighten him on his path to disaster if he does not change. We simply adored the talented Siti Khalijah Zainal who was the Christmas spirit of the past, bringing Mr Loo back to his childhood days when he fell in love with a girl but she eventually married someone else and that changed his character into one who has no love and only love money. The huge banana hat wore by Siti was one of the most interesting piece of prop that drew attention from the audience. The next spirit which is the spirit of the present brings Mr Loo to visit his nephew and also his personal assistant whose child is sick in the hospital. Then the spirit of the future brings him to see how unloved he would be when he dies in the future and nobody thinks of him except his loyal personal assistant. Like the original story from Charles Dicken, Mr Loo realises his mistakes and then quickly change his character and begin to care for his staff and others. All ends well, the musical finished with a high note with Christmas cheers and best wishes from the cast! The reason why Wild Rice’s productions is always so well executed and very popular with the audience is because they have assembled a good team of cast with excellent team work from their support team. 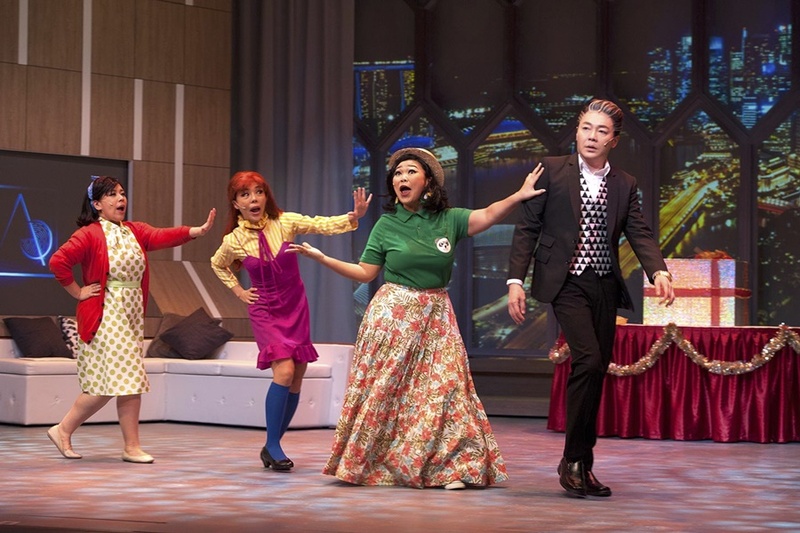 This highly entertaining musical is directed by Hossan Leong, the funny locally adapted script is written by Jonathan Lim and the fabulous musical score by Elaine Chan. Other than Sebastian Tan and Siti Khalijah Zainal, the other casts include Audrey Luo, Candice de Rozario, Fauzie Laily and the awesome First Stage Kids! The children are so adorable and amazing! Hurry, don’t miss this fun, delightful and meaningful brand-new musical that will make you laugh and at the same time touches your heart to make you truly realise how important love and family are. This musical is suitable for everyone and for the whole family to enjoy and celebrate the festive season together! 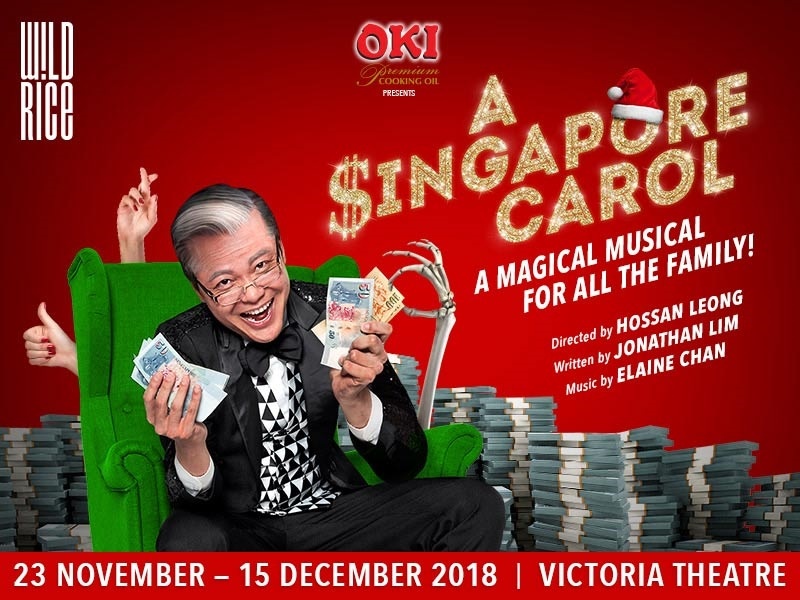 This November, W!LD RICE – Singapore’s leading theatre company, puts a hilarious, heart-warming and uniquely Singaporean spin on a Charles Dickens classic about love, compassion and the spirit of giving with a brand new musical, A $ingapore Carol!. #BAHHUMBUG! 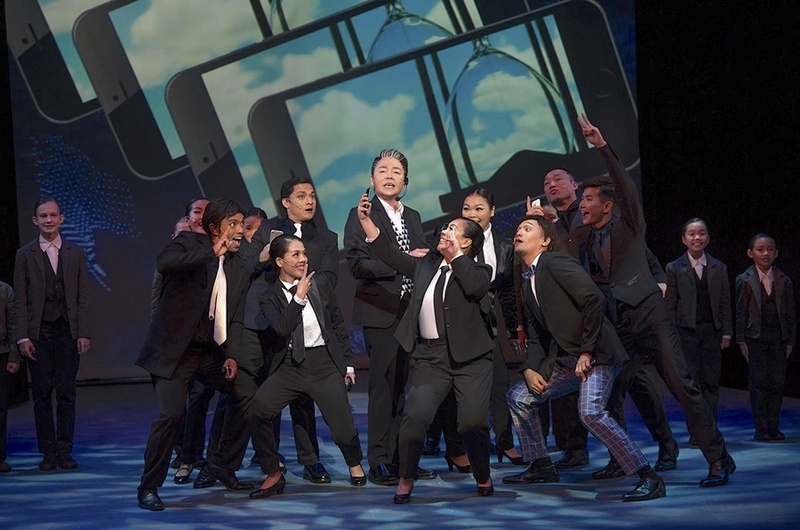 Directed by ‘Singapore Boy’ Hossan Leong and written by Chestnuts creator Jonathan Lim, the brand-new musical features a multi-talented cast, starring ‘Broadway Beng’ Sebastian Tan as the Singaporean Scrooge. All about love, redemption and the true meaning of Christmas, A $ingapore Carol promises to be the perfect family entertainment of the season!